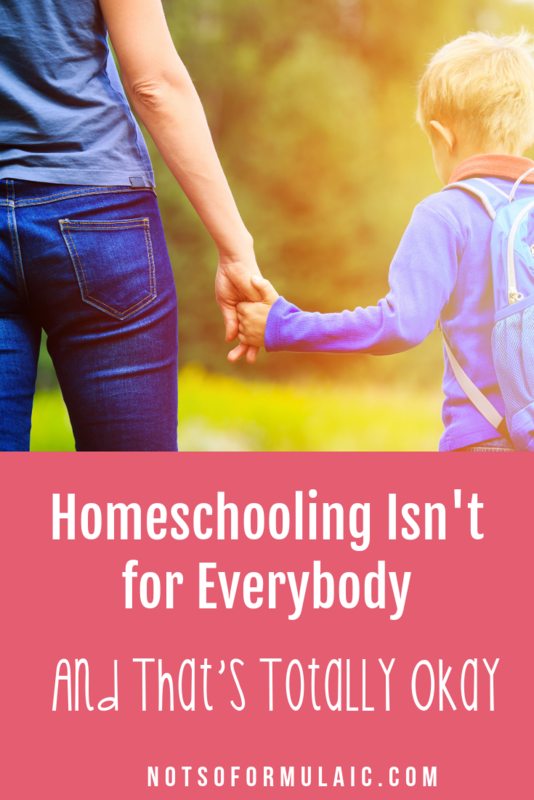 Homeschooling Isn't For Everyone, and You Know What? That's Totally Okay. No, homeschooling isn’t right for everyone. And the truth is, that’s totally okay. Each one of us is called to a different, unique vocation. 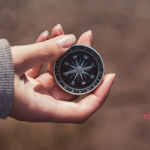 My friend and colleague Ticia offers an honest look at when homeschooling might not be the right choice. Fast forward several years and I was homeschooling my kids. I had twin boys and a little girl less than two years later, and we loved it. Our life was bigger and more boisterous because of it, but you know what the most common comment I got from my friends during those early years was? When is it wrong to homeschool? Don’t homeschool if you’re only doing it because you “can’t bear to be away from your child.” Or you’re scared what will happen to your child at school. That is homeschooling in fear, and you will cripple yourself and your child. I’ve met some of those homeschoolers, and they tend to be fearful. Don’t homeschool if you’re doing it out of guilt or to prove someone wrong. Maybe you’ve got a friend who is an amazing homeschooler and told you all about how sending your child to public school is “letting the government raise your child, and they’ll turn your child into [fill in the blank scare tactic].” These tend to be the homeschoolers who are constantly comparing notes to see if they’re doing enough. FINALLY, and this is the biggest one. Don’t homeschool if you’ve prayed about it and God said no. 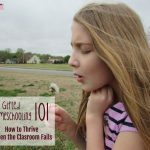 One of my daughter’s best friends is in public school, and her parents are raising three amazing daughters who are shining lights in their schools. They are being discipled and they are learning and growing and they were CALLED to public school. Their oldest daughter amazes me with the example she sets to the other high schoolers and she will not allow herself to be talked to disrespectfully because she knows who she is in Christ. Their middle daughter stands up to bullies at school. Their youngest daughter has an amazing love for God’s Word, and can memorize verses crazy fast. They would not have the same joy if they’d homeschooled because “it was the right thing to do” (though I have to say, in many ways their attitude fits a homeschooling family so much better than a public schooled family). They have raised their children to be the light in the darkness at their schools, and it shows through. My Mom did not homeschool us, my Dad was not a believer and while they were married, in many ways she was a single parent. She dealt with a lot in her marriage, and when they finally divorced she was working full time as a secretary to pay the bills. 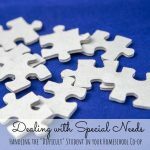 She did not have the bandwidth or the ability to homeschool us even if she’d wanted to. That’s right, there are some days homeschooling feels like a fight. We’ve all had those days when one child is crying about math. The other is ready to throw the computer over writing, and the last is getting on everyone else’s nerves with his silliness. That’s when we suit up with our full armor of God and sally forth. That is ultimately why not everyone is called to homeschool. Everyone has their own battle to fight or their own road to walk. I cannot walk in the shoes of my friend, and she cannot walk mine. So, Mom who feels guilty because she’s not homeschooling, it is okay. Not everyone is called to homeschool. You are called to a different fight. Ticia Messing is a Christian homeschooling mom of three. 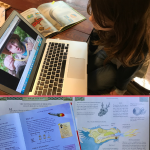 She writes about homeschooling and Christian formation on her blog, Adventures in Mommydom. Connect with Ticia on Facebook and Instagram. 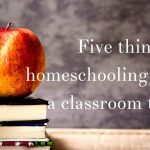 Want a Peaceful Homeschool? Embrace it as a Way of Life. 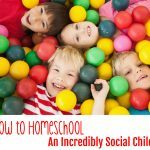 I Homeschool Because It’s Right for my Family. Maybe it’s Right for Yours, Too. So wise. This is wonderful! I feel like fighting about this gray area is hurting the Church so much, and this is exactly how I feel about it. Thank you.